This ball deserves nothing but Respect! The 900Global Respect bowling ball takes the Tetra symmetric core that provides a strong heavy roll and combines it with the 79 Alert hybrid coverstock which will provide an aggressive and impressive backend motion. This combination makes this ball the ideal option for bowlers who want a deep inside line with a big backend on medium to heavy oil conditions. Similar Balls: Same Hook Potential, Lane Conditions & Coverstock as the 900Global Respect. Purchase two balls for the price of one. Both were needed in my aresnal. The ball rolls very heavy through the pocket and the carry is great. 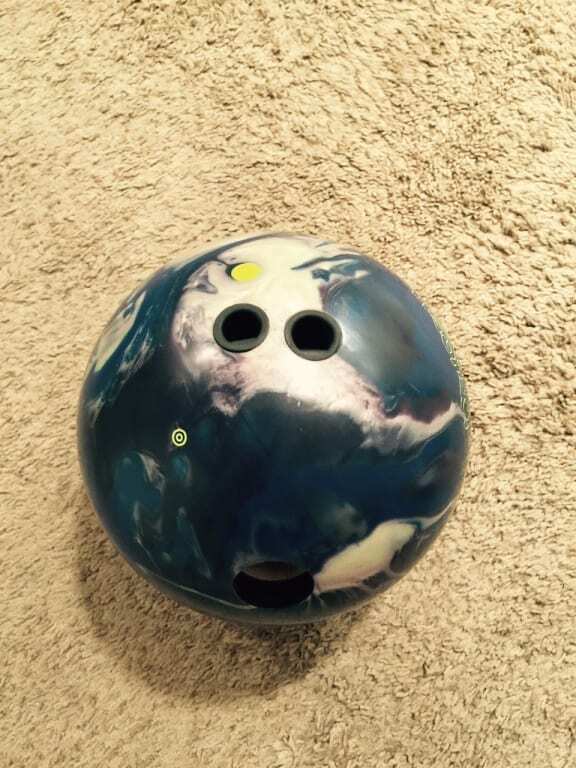 When I first got this ball I heard a lot of things about it, the way it read the mid lane and still cleared the fronts. What I didn't expect was how ANGLE I get out of this ball after it reads the mid-lane. Usually when I have to move in to the deeper part of the lane I have trouble finding the right piece to read the mids and carry the corner, not with this ball. This ball will benefit every type of player tweener, stroker, and even the crankers. You can put more revs in the ball or take some revs out and the ball still reads and takes a sharp turn to the pocket. Easily one of the best pieces I have thrown in my bowling career. Best new ball on the market! 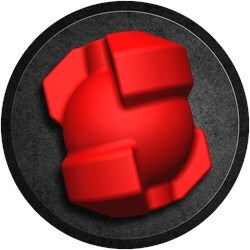 This pin-down layout provides an early midlane read compared to a "stacked" layout where the pin is above the ring finger. Having this ball with both layouts, the pin-down is by far my favorite of the 2. The ball motion at the break point is more pronounced and precise and gives more room outside after lane transition, however, less angular than a Moxie with the same layout. 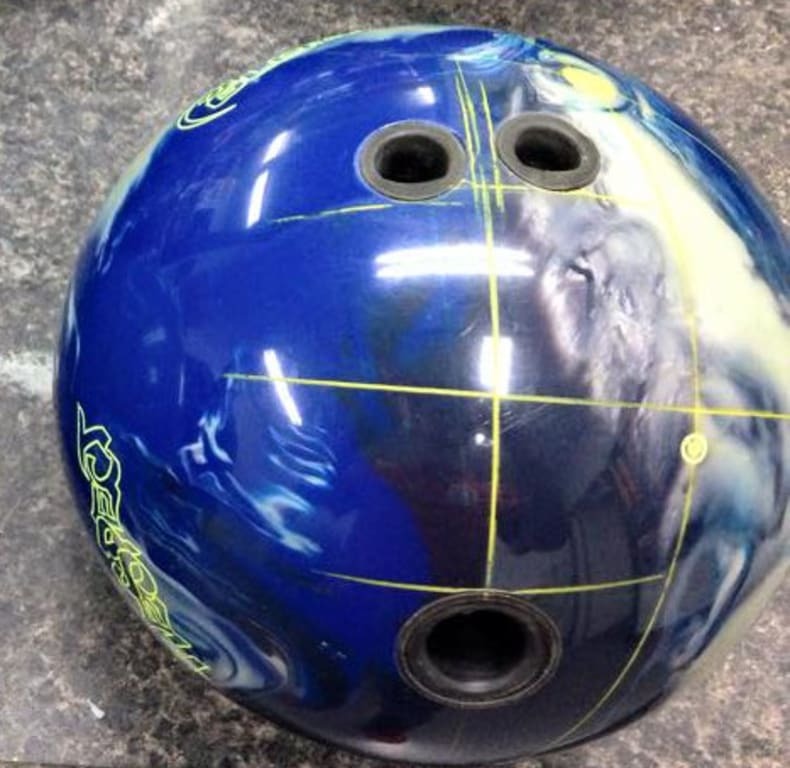 Backends on the THS are very predictable, which is the best aspect of all 900 Global bowling balls! Definitely my favorite ball, not only to throw but to look at as well!! The Respect has earned its name among the best pieces of equipment on the market today! It is quite simply THE must-have ball for your arsenal. If you do not own this ball, you're missing out on some great scoring opportunites and higher averages! By Terriffic Travis from Port Hueneme CA. I was completely amazed at what this ball was able to do the first time I threw it. It is very clean through the fronts, and it reads the midlane with ease. The most breath taking thing is the way the Respect can turn the corner and face up to the pocket. The Respect is extremely aggressive off the end of the pattern, and hits the pins with a ton of power that will clear the pin deck with ease. If you're looking for a ball to play a little deeper inside and still hold its own, than this is definitely the ball for you. The Respect is very versatile and its a must for every bag. I shot 752 with this ball out of the box, so be prepared to make a huge impact the minute you get it in your hands. It will definitely earn you some "Respect" on the lanes. If you liked the Moxie, introduce the Respect! Wow! does the Alert 79 Hybrid coverstock make a pronounced backend move. When the Moxie is a too early or isn't finishing well, put the Respect in your hand and keep on striking. This ball worked well on all fresh oil shots I bowled on. Definitely not a light or short oil ball. The ball motion is very predictable, but does have some backend kick to it. I initially had some over under reaction with the OOB finish (1,500 Grit Polished), but found a more consistent reaction by changing the surface to a NEAT "T" pad (4K) dull. Man did this liven up the ball reaction for me. It gave it a touch more midlane read and a better backend move. This ball definitely works well on oil. Go and get one and earn some Respect! The new 900 Global Respect is easily my favorite ball. Its clean through the front part of the lane but still rolls heavy. I've been able to throw my Respect on every pattern efficiently. I've been able to play any part of the lane from up the boards to hooking the whole lane, and this ball never loses pin carry. If you don't have a 900 Global Respect in your bag you're missing out. I have my Respect drilled pin above ring finger with the CG kicked right about 30 degrees. The pin to pap is 4.5 inches. I have a P1 balance hole. This ball is very clean through the heads with a strong backend motion. It is pretty angular on the fresh. Perfect for larger volumes of oil or after the lanes start to breakdown some. I could move left and open up the lane with no fear that it will not make it back to the pocket. The respect has plenty of recovery and great continuation through the pins. WOW this ball is special. This ball is clean through the heads and is real strong on the backend. The greatest attribute to it is how versatile it is. You can use this one on multiple patterns/conditions and not sacrifice pin carry. It keeps the pins low and is very continuous. Seeing that the first respect I drilled was a monster why not drill another. This respect revs up early in the midlane but still retains energy on the backend. I can see this one coming into play on higher volume or when the pin up respect catches a bit of carry down. All in all this is a great ball and the color scheme really stands out. If you haven't tried any of the new global product line this is a good time to start! Summary: I drilled my Respect with the pin under the center of my bridge and the CG stacked with Factory Finish. This provides me with a layout that is very predictable. I am very impressed with the motor of this ball. This ball has no problem getting through the front part of the lanes with ease while still maintaining a very strong angular finish on the back ends. I am able to use this ball to go straight up the boards with a strong motion off the end of the pattern as well as to be able to get in and wheel on it. I had a hard time finding a way to make this ball not respond down lane. This ball is a must have for all levels of bowler. Clean through the heads with a strong move on the back. Great ball to open up the lane. Probably to strong down lane on fresh longer patterns without a surface adjustment for high tilt or slower ball speed players. One of the biggest backend balls in the Global line. Could be a great USBC nationals ball. For me a little cleaner than the Dream with a little more backend. Would compliment a Moxie or Dream On to make a great one two punch. The Respect is the first ball out of my bag, I can still use it after the lanes transition if I want. I Love the ball and I am definitely ordering another. This ball is an absolute monster. I have had this ball for a little over a month now and it has been the first ball out of my bag everytime I have bowled. This has been on long and short sport shot conditions as well as a THS(I have to get in deep with this ball on a THS). I have never had a polished ball hook that much. This ball has been turning heads since I put holes in it. An absolute must for someone who wants/needs a strong ball that they can trust will turn the corner everytime they let it go. If you want a strong ball that is angular on the back, look no further. When I threw the Respect on the THS fresh, it was a little too over under. But you can take a little of factory polish off and hit it with "A" pad which is equivalent to 3000, this ball will be in play. However the ball was at its best and shined when I was able to move deeper into pattern and open up the lane after the front part of lane opened up a bit. Read the oil when I got it in and was nice and angular down the lane when I got it wide. Throwing the Respect on USBC 2014 Team pattern, was same issue as on THS, ball was not as much over under once the track had broken down and ball made lanes look easier than they were on Team pattern. This ball definitely has a place in your bag and when you are able to use it, you will dominate the competition and get your respect! I drilled mine with pin above ring, which is a five inch pin for me. This ball has a unique ball motion, different than alot of 900 Global previous offerings. Definitely a keeper. Thanks again 900 Global! The Respect - BIG time ball from Global! Drilled the new Respect from Global with one of my favorite layouts: 5" x 5" pin up. This ball carries the big WOW factor with it! This one brings big-time backend to the lanes. Was extremely impressed with the aggressiveness of the hybrid cover. I do get enough mid-lane reaction to go along with a huge backend that at my ball speed of 14-15mph I can get as deep as I want on THS and this ball turns the corner! In comparison more skid/flip than the Moxie, Moxie earlier and smoother. The Respect OOB finish of 1500 grit polished perfect for my style. Color scheme way cool rolling down the lane! This is a touch the head-pin and what em' fly ball. 742 1st time out on the lanes with it. 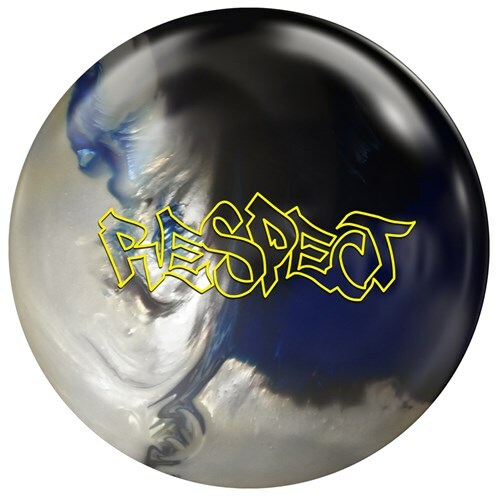 If you're looking for "respect" on the lanes this is your ball of choice! By mike811 from Huntington Beach,Ca. The new 900 Global Respect picks up where the Moxie left off. The Respect coverstock is very aggressive and yet very forgiving. The Respect gets more length than the Moxie with a very aggressive continuous backend motion. I drilled the Respect with a 4-1/2 x 3-5/8 x 3-3/8 layout the Respect allows me to play many different angles due to the forgiving core dynamics. If I choose to play up the boards with the Respect, it allows you to do that on the fresh pattern because of the coverstock being so clean through the front of the lanes, but if you want to move into the lane and play on top of the oil it still will hook hard when it hits the friction. If you are looking for a very versatile ball on a medium to heavy oil shot this will be a great choice! This ball deserves its name! "Respect"!!!! The respect is a shining example of what people look for in a tight rolling marble. The ball has significant snap even though I have it drilled to arc. The ball is great for conditions where you want something clean through the heads, developing a good mid-lane read, and a strong snap on the back end. This ball has nothing missing in the power department. The pins most certainly RESPECT it. The pins stay low and you still carry the corners even with a steep entry angle into the pocket. The high Rev players are able to swing this ball utilizing the heavy mid-lane read with significant snap on the back end. The violent change is very helpful when you have to play deeper. You don't lose energy on the change of direction because of the heavy roll in the mid-lane. The lower rev players will be assisted greatly by the heavy mid-lane roll. It will give them more options and hitting power as the ball reaches the friction. This ball can create the roll those lower rev players so greatly desire. The Respect is very versatile and can find a home on any lane condition. Especially sport conditions because of its continuous read of the lane and heavy roll. Highly recommended for the traveling players who don't want to have to fight lanes. This ball deserves all the respect. One of the stongest shiny balls I've thrown recently. The coverstock is extremely aggressive, and it matches well with the tetra symmetric core that was showcased earlier this year in the Moxie. This ball will get more length than the Moxie with an extremely aggressive backend motion. One aspect about this ball that I've seen so far is the fact that it allows me to play many different angles due to the forgiving core dynamnics. If I want to play up the boards, it allows me to do that on the fresh because of the clean length through the covers, but if I want to move into the lane and fight some of the oil it still will roll strong. If you are looking for the go to ball on a med-heavy shot this will be a great choice. Excellent value. Strong mid lane with continuous finish thru pins. Is the Tetra Symmetric core used in the 12-lb. ball? If not, what core does the 12-lb. ball have? Hi! The core used for this ball is The same core used in the 12 LB. Boost the Launch core. Hey Joey! You will need to speak to your driller about drilling your ball to determine the best performance. They will be able to tell you if you should have the pin up or down. A 2-4in pin is the most common. Would this ball be a good first ball out of the bag? It says it's good for deeper inside lines, I'm more of a down and in stroker, I'm not good at the across the lane swing shot. Thanks. Yes, this ball will be great out of the bag! Due to the time it takes to produce the 900Global Respect ball it will ship in immediately. We cannot ship this ball outside the United States.